A private oasis in the city, University and Whist Club is graced with a sweeping grand staircase, stately moldings, fine art, four fireplaces and a ballroom, as well as a clubby bar, informal sports pub and intimate dining rooms. 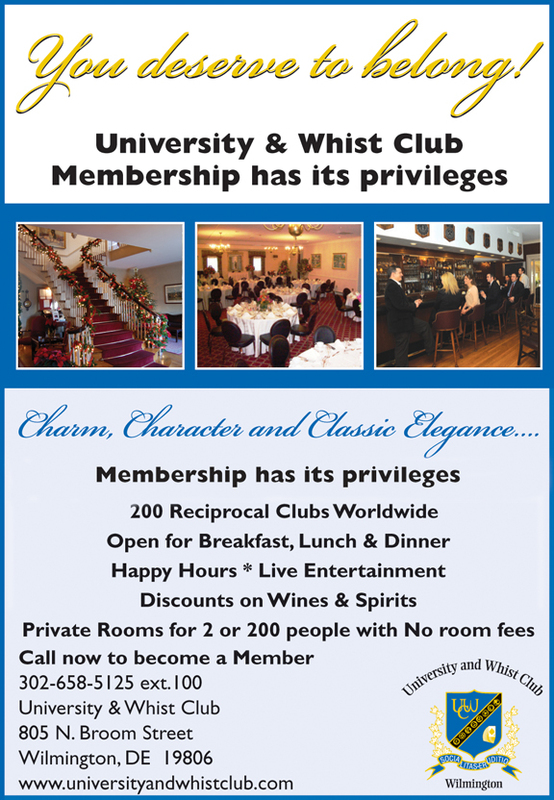 It’s a place where members feel special — and so do their friends, families and business acquaintances. You also will find that sense of attentiveness when you visit any of our 175 reciprocal clubs around the world. 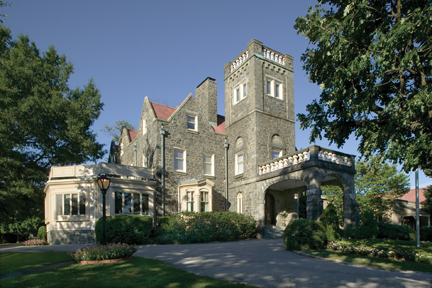 Housed in a mansion built of native stone, the Whist is an elegant gathering and dining destination for members, as well as an extraordinary venue for social events, business meetings and conferences. George Washington’s surgeon general slept here—and lived and worked here, too, as witnessed by his marble autopsy slab, still in the basement. Dr. James Tilton built the landmark in 1802, a home so grand it was once in the running to become the U.S. Capitol. But the Whist is not a museum. It is a vibrant, growing organization, with activities that include ballroom dancing, crab and lobster feasts, etiquette lessons for children, Wine and Scotch tastings and live music. Best of all, it is a place to make friends, where the staff greets members by name and superior service flows seamlessly.